Scott Morrison and Melissa Price have have only made the Adani mess a whole lot worse. Whichever way you look at it, federal approval of Adani’s giant Carmichael coal project was pure madness. Its politics were at best highly questionable. As public policy it was the pits. 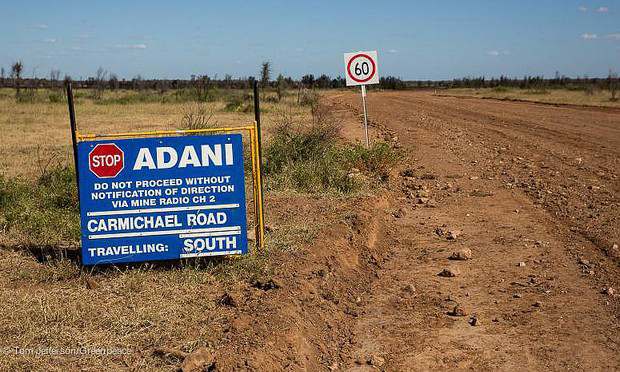 Official federal and Queensland records show that over 20 months to mid-November 2018 Adani Australia, the local arm of the mine’s Indian proponent, paid at least $65,800 in various donations to the federal Coalition. We don’t call that bribery, but I don’t know why. That figure was not disclosed by Adani or any government MP, but extracted from registries by the Australian Conservation Foundation, which also revealed that Adani contributed $30,000 to One Nation and $2,200 to the Labor Party. The latter amount was later returned to the company. No money went to the Greens. It’s lucky the records exist, as the givers and receivers of such largesse seem unaware of it. Asked what Adani Australia had given, company CEO Lucas Dow didn’t want to name a figure. He said the company doesn’t “donate directly to MPs” but pays for “policy briefings and dinners”. Capricornia MP Michelle Landry told the ABC she didn’t know what Adani contributed to her campaign because “I don’t control the finances.” Of course she should know, but who’s asking? We don’t yet know what further donations have been made by Adani since November, and under disclosure rules we won’t know until well after the election, but it’s reasonable to conclude the flow of money didn’t stop there. A fortnight ago, a teleconference between officers of the environment department and Geoscience Australia sought to iron out difficulties with Adani’s modelling of the impact of its proposed mine on groundwater. A copy of handwritten notes from that meeting leaked to the ABC revealed that Adani had been told that its modelling needed correcting, and that “they refused”. Yet the very next day environment minister Melissa Price gave her tick of approval to the Adani project. Sunrise the following day saw prime minister Scott Morrison getting vice-regal permission to call an election, at which point Price would have lost her authority to approve the Carmichael project. So she was just in time. Funny, that. Disclosure rules on political donations are notoriously ineffectual, so I doubt we will ever know for certain how much money Adani put into Coalition coffers ahead of that approval, nor whether the minister followed due process in giving it the nod. But we are surely entitled to be cynical. The Queensland government still needs to give permission before Carmichael can go ahead. We can only hope its standards are higher than Canberra’s, but the pressure to say “yes” will be immense. As public policy the Adani approval fails against all essential measures – stable employment and communities, long-term economic value, environmental impact, biodiversity, water security – you name it. Most of all, it fails against the imperative to reduce global carbon emissions. The claim that the mine will bring secure work to central Queensland is a cruel joke. It can never be a going concern. Adani has admitted grossly exaggerating its estimate of long-term jobs, while growing global pressure to cut emissions will make the mine less viable with each year that passes. It speaks volumes for the level of climate change denial in Liberal and National ranks that the Carmichael project has been allowed to get this far. A healthy Australian body politic would long ago have made clear to all concerned that new coal mines could never be countenanced. The world now finds itself in the nastiest of vicious circles. As long as global emissions remain high, extreme weather events will get more intense and more frequent, inflicting rising damage on the global economy, which reduces our ability to turn things around. We are in crunch time. Government MPs – at least those who acknowledge the fact of man-made climate change – still behave as if we have all the time in the world to start bringing down our emissions. We don’t. Under the 2015 Paris Agreement the government is obliged to have an emissions target or nationally determined contribution (NDC), and – because it was known from the outset that NDCs were too weak – to strengthen it regularly from next year. It has not gone unnoticed abroad that having set a weak NDC we haven’t begun to consider a stronger one. The 2019 report of observer group Germanwatch says Australia’s climate policy has “continued to worsen” and that we are seen as “an increasingly regressive force” internationally. The Greens are right, as are their former leader Bob Brown, salad king Anthony Houston and all the other anti-Adani electric car aficionados who took to the road in protest this Easter. The last thing we need is a massive new coal mine. Wherever its base and whatever colour its politics, any Australian party with an ounce of self-respect will reject this project and its money and put a permanent lid on the whole tawdry business. For many years I have avoided focusing too much on scientists’ personal thoughts about the future of the global climate. Like them and many others, I felt we should not be stirring fear among people. Scientists and schoolchildren are not alone. Farmers and townspeople in the Darling River basin have expressed fear at the prospect of having to abandon their drought-ravaged region. Now they have been joined by fire and emergency people. “We’re frightened,” Greg Mullins, a former NSW Fire and Rescue Commissioner, and still an active firefighter with nearly 50 years’ experience, told a radio interviewer last week. He expressed that fear in an unprecedented public statement issued through the non-government Climate Council last week. The statement’s 23 signatories – former fire and emergency service leaders in all states and territories – include the two most recent past chief officers of the Tasmania Fire Service: Mike Brown, who retired in 2016, and his predecessor John Gledhill, who headed the TFS for 14 years from 1995. They sought to brief prime minister Scott Morrison on our failing capacity to deal with wildfire, flood and other emergencies, and called on state and territory governments to focus on adapting to climate change and acting strongly to cut emissions. “Increasingly catastrophic extreme weather events”, it said, “are putting lives, properties and livelihoods at greater risk and overwhelming our emergency services”. These events have been worsened by climate change “driven mainly by the burning of coal, oil and gas”. The statement said that whereas staggered northern and southern hemisphere fire seasons, and differing fire seasons within Australia, had allowed the exchange of aerial water bombers, trucks and firefighters, this is now being severely limited because of longer fire seasons everywhere. 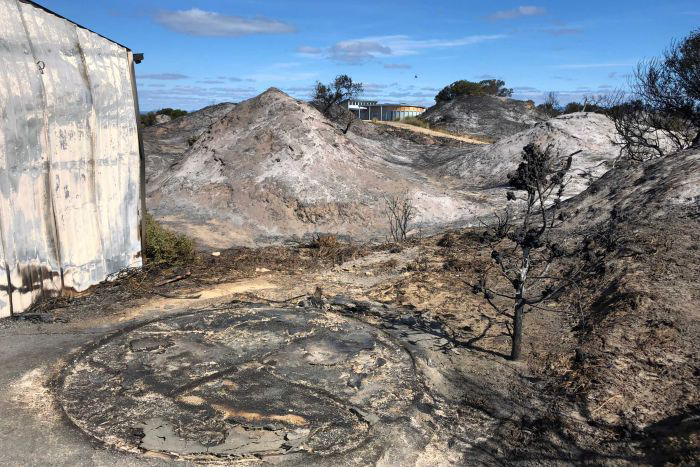 As if on cue, on the same mid-autumn day that the statement was released a fierce blaze erupted in bone-dry coastal scrub at Dolphin Sands in Tasmania’s east, forcing evacuations and destroying a home. The fire broke away from an approved hazard-reduction burn on private land, highlighting the statement’s warning that warmer, drier winters are decreasing opportunities for such burns. When we feel fear, we need to act. At a local level at least, practical steps are being taken. Hobart’s extensive bushland margins make it especially vulnerable to wildfire attack. Three weeks ago Hobart mayor Anna Reynolds launched a public airing of the city’s long-term protection strategy. Fire ecologist David Bowman introduced a panel of fire experts from Christchurch, Melbourne and Hobart in a public discussion of “green firebreaks” – areas of land around the city perimeter where fire-prone understorey plants are removed and replaced with species more able to resist fire attack. If this idea takes root, so to speak, it will signify a shift in the way Hobartians view the mountain’s natural ecology – not simply as a much-loved natural asset but also as a potential danger that needs active management. Such is the price for living close to nature in a warming, drying climate. As Simon Bevilacqua said in his weekend column in the Hobart Mercury, fire and emergency people are on the front line of climate awareness. They must stay abreast of current conditions out in the landscape because their communities, their work, their personal wellbeing and sometimes their lives depend on it. “We don’t frighten easily, as fire and emergency chiefs,” Mullins told ABC Radio National’s Fran Kelly after release of the fire and emergency elders’ statement. But now, he added, we are in a “climate emergency”. “Over the years we’ve had to calm down the community when an emergency is happening, and talk straight to them, too, when it’s very severe…. Now it’s time for some straight talk. Having for years dodged or dismissed questions about climate change, governments are now faced with undeniable evidence of its growing impact on public safety. Their silence is deafening. We badly need the fear that is now part of the working lives of firefighters and emergency workers to spread to their political masters. Only then, I believe, will we see some real action. For all the chatter about surpluses, the budget was only the second most important economic event last week. First by a country mile was Bill Shorten’s launch of Labor’s 30-year blueprint for zero net carbon emissions by 2050. All elections are important, but the federal election in May is shaping up as something exceptional – one of those epochal events that happen maybe three or four times in a lifetime. And it’s a fair bet that within a couple of months Labor will be in government. One of the many things electors failed to grasp about climate change in 2007 when they opted for Kevin Rudd over John Howard was the huge scale of effort required to wean our economy off its reliance on fossil fuels. Economist Ross Garnaut, reviewing policy options for Labor, advised we would have to cut emissions by 90 per cent by 2050, for which we would need an economy-wide price on carbon pollution that covered petrol and diesel for transport as well as fossil-fuelled electricity. Rudd, who famously declared climate change to be our greatest moral challenge, baulked at cutting transport emissions and rejected the 90 per cent target as over-ambitious, opting instead for 60 per cent below 2005 levels. He didn’t want to scare electors. While Garnaut and Australian scientists argued for a huge national effort with the burden spread across the whole economy, our political establishment decided they knew better. Australians went along with them because Garnaut seemed to be applying a sledgehammer to a peanut. Times have changed. Several fiery summers and extreme flood events later, we get it. Bill Shorten’s plan is to cut emissions by 45 per cent below 2005 levels by 2030 and eliminate them by 2050. Australia has barely started that task, which is why Labor’s scheme is both economically important and far more demanding than Garnaut’s “over-ambitious” target was all those years ago. The three linchpins to Labor’s plan are electrifying transport, giving a huge boost to renewable energy, and tightening the Coalition’s pollution cap mechanism to take in more companies. Producing nearly 20 per cent of Australia’s emissions, cars, buses and trucks are one of the fastest growing sources of pollution, but no government has yet found the courage to take the steps necessary to radically transform a whole population’s driving habits. If Labor wins the May election it will introduce Australia’s first national electric vehicle program, aiming to have electric cars making up half of all new cars sold by 2030, while also imposing emissions standards for petrol and diesel vehicles. 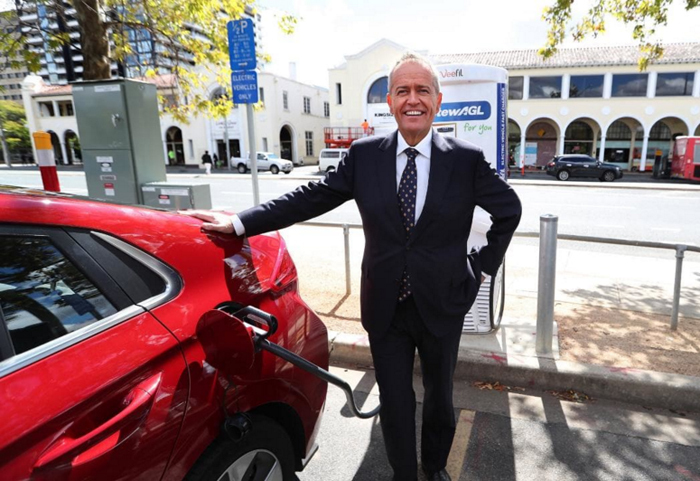 Labor will support rollout of new stations for recharging electric vehicles – a very busy space right now with almost-weekly innovations in charging and battery technologies. The ultimate aim is today’s level of convenience in refuelling petrol and diesel vehicles. By Australian standards (if not by European ones), the Shorten plan to achieve 50 per cent renewable electricity by 2030 is massively ambitious. Labor claims the scheme will bring more than 70,000 new jobs to more than make up for those lost in the coal economy. Solar households will be attracted to Labor’s offer of $2000 rebates for battery storage units. The aim is a million units by 2025, to retain unused solar energy and boost availability of dispatchable power when other sources fail. Ultra-conservatives won’t like Labor’s extension of the pollution cap, or “safeguard mechanism”, introduced under Malcolm Turnbull. But it has enough in common with Turnbull’s “National Energy Guarantee” to be called bipartisan – crucial if strong climate mitigation policy is to endure. The plan would see the 250-odd biggest industrial polluters forced to meet much tougher pollution baselines, but Labor is allowing businesses to buy international offsets and to make money from credits earned if they get below their baselines. That’s emissions trading, in everything but name. One thing missing from the Labor plan is solid, meaningful recognition of the crucial role of youth in achieving a safe climate. Young people know this is all about their lives to come. They are angry at government dithering, and now are starting to take matters into their own hands. Our nation’s children are passionate about climate. They were first to react to Greta Thunberg’s brave one-person protest against Swedish government inaction with a school strike in November, in Tasmania and other states. That triggered last month’s global eruption of mass school protests. Young Australians want an innovative government, in a social and economic sense as well as a technological one. They also want Australia to have a higher profile globally. Shorten’s pledge to reinstate a climate ambassador, reengage in the formal international process and support Pacific neighbours is a good start, but we need much more. As the developed nation with most to lose from climate change, it’s time we lifted our game on the world stage.